The New Kiwanda 20L Dry Bag Day Pack is Finally Here! This thing belongs in your bag quiver. After spending the last year testing and dialing in our design, then sourcing the most durable and sustainable materials and hardware we could find, we're incredibly excited to finally introduce to you the new Kiwanda 20L Dry Bag Day Pack! With 15 to 20 liters of adjustable waterproof storage, a durable 420D Ripstop Nylon outer shell, stretch performance mesh bottle pocket, and padded, ergonomic straps, it's a lightweight bag that can not only keep your stuff dry, but also hit the trail with you as an everyday piece of outdoor gear. As seasoned outdoor enthusiasts of varied breeds, we've had plenty of experience over the years with dry bags in general - they are a critical component of any "outdoorist's" arsenal. In general, they've historically been designed as bags to be stored within bags; constructed of ultra-light nylon or sil-nylon, with roll-top closures and limited portability. We've used such bags to keep our down gear and clothing dry within our backpacks, to house our camera gear and electronics when the skies opened up, and even to store our soaked wetsuits in the trunk after a morning surf session. For these applications the old bags got the job done, but they never lasted long, and more often than not, they eventually became wore down and wore out just by transporting them around. 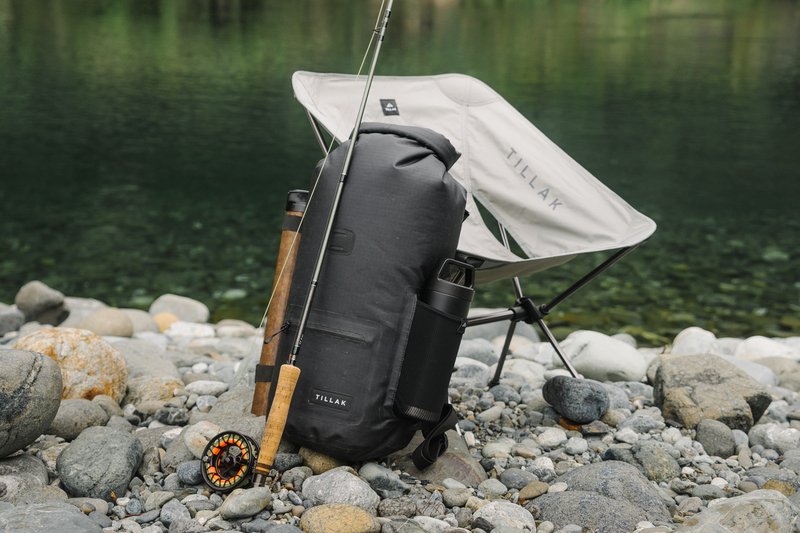 With the Kiwanda 20L, we wanted to solve the issues of durability and portability, while increasing the usability and functionality of a standard dry bag. To address the issues of wear, we manufactured the Kiwanda from exceptionally durable yet lightweight 420 Denier Ripstop Nylon with single-sided Lontra TPU lamination, and welded the seams to keep water out (or in, in the case of a soaked wetsuit) for good. In other words, you can throw this one down on rocks or brush against tree trunks without fearing a tear or leak. Because we were so tired of carrying old dry bags by the roll-top closure, we added contoured, padded straps to the Kiwanda, so it can be carried comfortably while leaving your hands free to do other things (like lay down a cast, throw some fresh wax on your board, or grab a beer!). To add to the Kiwanda's functionality we also added an incredibly accommodating external water bottle pocket (fits bottles upwards of 30 ounces) and small splash-proof zippered external pocket, so you don't need to unroll your pack or expose your stored gear to the elements when you need to get out some money, your keys, chapstick, or take a drink of water. In addition to pouring over design aspects and features with the new Kiwanda 20L, we obsessed over the material and hardware specs for this bag from a sustainability perspective. 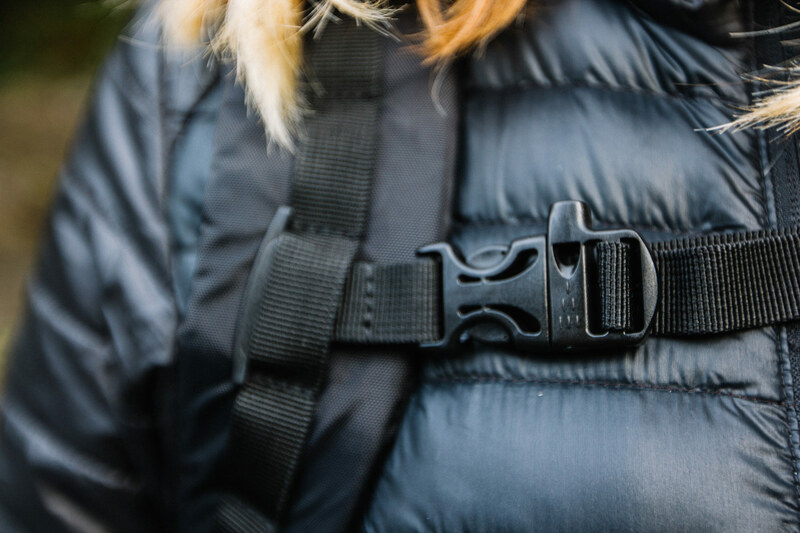 We worked with our suppliers and manufacturers to identify and test the efficacy of Bluesign hardware, environmentally friendly REACH fabrics and dying methods, and fully recyclable molded and woven thermoplastics. And we didn't stop there - we worked with our design team to create and source plastic free packaging with water based dyes and 100% recycled cardboard, that not only protects our product on its way to you, but is shaped such that it allows it to be shipped en masse while taking up the smallest amount of volume possible. Anyhow, all of this to say that we are pretty damn proud of our new bag. For the last year the Kiwanda 20L has become our team's go-to for anything and everything - from dawn patrol surf sessions, to fly fishing the Pyrenees, to peak-bagging from basecamps, to a makeshift ice vessel for post-MTB ride libations. We love this thing! And we think you will too.